This course contains only the language arts (writing, spelling, grammar) lessons from Level 2. Students will also grow in their writing ability, learning by copying literature as well as by creating their own stories and producing a short piece of non-fiction. Their technical writing ability will be expanded by learning to write complex sentences. Students will continue to expand their vocabulary and spelling knowledge using worksheets as well as online games and activities. Grammar topics include capitalization, punctuation, sentence structure, nouns, pronouns and verbs. Parents: Please decide about buying workbooks or printing out the worksheet packets for the year. You’ll want those worksheets available when they come up in the curriculum. Welcome to your first day of school! I wanted to give you one important reminder before you begin. Many of your lessons below have an internet link for you to click on. When you go to the different internet pages for your lessons, please DO NOT click on anything else on that page except what the directions tell you to. DO NOT click on any advertisements or games. DO NOT click on anything that takes you to a different website. Just stay focused on your lesson and then close that window and you should be right back here for the next lesson. Okay? *Following Directions — I write a lot of directions on here. Read them carefully and follow ALL of them. If you don’t understand, ask for help. Practice with this following directions worksheet. An important reminder as you are beginning the year…If you you click on a link and the link is not working please do not just skip it or find something similar to use, let your parent know so that we can get this fixed right away for you and for other users. 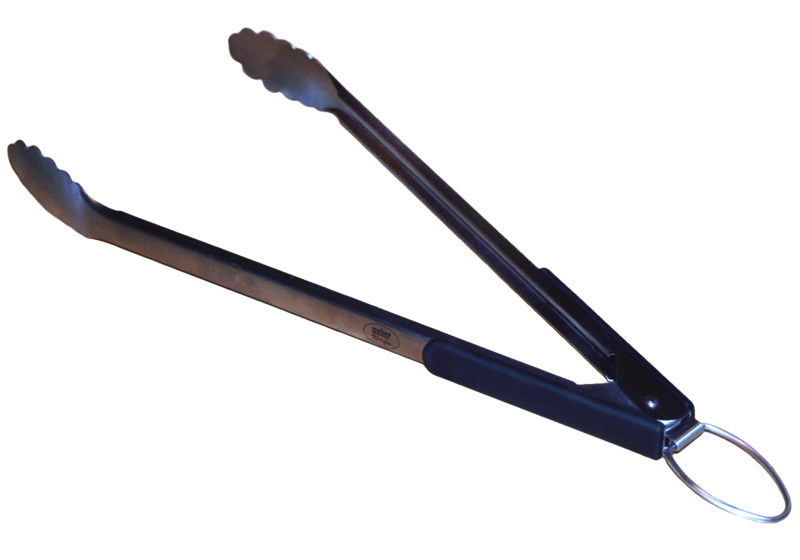 Describe what tongs look like. Write… “I think tongs look like” and then finish the sentence. Write a sentence telling people to be kind to animals. Don’t forget a capital letter at the beginning and a period at the end. Play Noun Dunk. When nouns are names, they are called proper nouns and are always capitalized. They always start with a capital letter. Some examples: name of a person, Mary; name of a place, California; name of a thing, Oreos. If the noun is a name and starts with a capital letter, it is proper. If it doesn’t, then we call it just a common noun. Now try this capitalization activity. What words should be capitalized? Names of nouns and the first letter of a sentence, right? Find them all. Remember, a contraction is a shorter way of saying something. Can’t means can not. I’m means I am. She’ll means she will. This video can help you remember some of the possible contractions. Play this contractions memory match game. Write a short story. Here’s the beginning. Find the correct sentences. Look for capital letters and punctuation. Copy these lines of a poem. The cat she walks on padded claws. The wolf on the hills lays stealthy paws. Play level 1 of Maggie’s Adventures. My clothes are soft and warm, fold upon fold, but I’m so sorry for the poor out in the cold. There’d be no rainbow still. Enter your name and then click on Capital Letters and End Marks. Fix the sentences and then click to check your answers. Copy this line from a poem by Christina Rossetti. Stroke a flint, and there is nothing to admire: Strike a flint, and forthwith flash out sparks of fire. Also notice how stroke a flint and strike a flint are sort of repeating each other even though they aren’t identical. Finish this sentence with a rhyme. If a pig wore a wig, __________________. Here’s an example: If a pig wore a wig, I’d eat a fig. Sometimes there are words that don’t change when they are plural. Remember: plural means more than one. Here are some that don’t change. There are words that are only plural like scissors.There is no such word as scissor. Quiz your parents. See if they can list five words that don’t change when they are plural. Write two lines of a poem like this poem. Now you write. Ask a color question. Answer it. Then write a rhyming line. Now you try. You can use another color, but I suggest blue because it is easy to rhyme. What is blue? Now answer the question and write a rhyme! Write two poem lines. Start each line with a repeating phrase and rhyme the last words. Summer’s here, summer’s here, let’s go and play. Winter’s come, winter’s come, inside we’ll stay. Stay and play rhyme, the last words in both lines. Make up your own poem or copy my first line to start with: “Summer’s here, summer’s here, let’s go and play” and then write your own last line and make sure it rhymes with play! See if you can match the words with their plurals. Do the spelling lesson. Click on each word and watch it being spelled. Then look away and try to spell the word out loud or try to type it out. Play hang mouse with your spelling words. Now it is a very unusual thing for Mr. Toad to hurry, very unusual indeed. You are going to write a sentence in the same format. Here’s an example: It is a very exciting thing when we have our first warm day, very exciting indeed. Then you have to add in your word (surprising, mysterious, sad, funny…). Then you write a comma. Read your sentence. Do you like it? Read it to someone else. You know Peter is always ready to go anywhere or do anything that will satisfy his curiosity. Write a sentence just like it. Write the sentence below and fill in the blanks with your own words. I wrote an example for you. You know _______ is always ready to _________ or do anything that will _____________. You know my dog is always ready to dig or do anything that will make her dirty. *Read and fill in page 1 of this plurals worksheet. The answers are on page 2. Write four plural nouns that were in your reading today or in another book from your home. You can use the blanks on the bottom of your worksheet if you’d like. He envies the birds because they can pour out in beautiful song the joy that is in them. Write a similar sentence. Example: Sometimes I envy birds because they can fly and soar in the sky. Then write a kind of animal. Then write what they can do that you wish you could do. *Read this plurals worksheet and fill in the blanks on page 1. Use the examples to get the answers right! When you are done, you can have a parent or older sibling check your answers on page 2. Copy the sentence below. Make sure you copy the “quotation marks” and the ? question mark. “What was the use of wasting my breath?” demanded Old Mr. Toad. Write a question. Use a question mark. Copy the sentences below. Make sure you copy all of the , commas and ! exclamation points. Oh, my, no! No indeed! Write a sentence of your own that ends in an exclamation point. “I’m just watching my babies. Aren’t they lovely?” said he. Write your own question sentence that ends in a question mark. “Why, I couldn’t do that!” he exclaimed right out loud. Write a sentence like the one above. Here’s an example. “I can’t believe it!” I shouted. Write yourself exclaiming something! Use “” and an ! and then write who said it. Use the examples. See if you can do it! *Print out the first page and find the nouns. You can check your answers on page 2 with a parent or older sibling. *Read the directions and fill out page 1 of this phonics worksheet. Notice every word has the AR sound, as in car and far. You can check your answers on page 2. *Read the directions and fill out page 1 of this phonics worksheet. Notice every word has the er sound. It is spelled er, ir or ur. The answers are on page 2. What words can you think of that have the er sound? Here are some: purr, burn, burp. *Capitalize the proper nouns, the names of people, places and things. The answers are on page 2. Try to come up with at least five. Get a high five and/or hug if you find more. Copy these words which each make the “I” sound in a different way: fire, pie, dial, pile, light, bicycle, by, bye, guide. Get a high five and/or hug if you write more than 5. *Read the directions and fill out page 1 of this phonics worksheet. The answers are on page 2. *Follow the directions on this noun worksheet. Page 2 has the answers. *Read the directions and fill out this phonics worksheet. The answers are on page 2. Write your name, address and phone number. You can use the bottom of your worksheet if you’d like. *Read the directions and fill out the top half of page 1 of this phonics worksheet. The bottom half is optional grammar practice. The answers are on page 2. Take a quiz on common and proper nouns. Write three words that rhyme with words in the word box on your worksheet. *Complete this noun worksheet. The answers are on page 2. *Read the directions and fill out the top portion of page 1 of this phonics worksheet. The bottom sentences are optional practice. The answers are on page 2. Make a sentence. Choose the first option on the left. She thought she was the best swimmer ever and was so smug about it. She was envious of how well the other girls could swim. *Complete this worksheet. The answers are on page 2. He ambled down the street whistling a tune. He hastily ate breakfast and spilled his juice. She was indignant that someone would step on her foot. The big storm made him anxious. He has been sick for so long he has become feeble. *Read the directions and fill out this phonics worksheet. Notice all of the words end in “dge.” What sound do those letters make together? The answers for the worksheet are on page 2. Write a sentence. You can type it if you like. Or you can use the bottom of your worksheet if you’d prefer. Take this homonym quiz. Read the words that are the answer choices. Which word means what? Do you know? *Read the directions and fill out this phonics worksheet. Notice every word ends with a Y that sounds like an E. The answers are on page 2. *Read the directions and fill out this phonics worksheet. Notice these words all end in LE. The answers are on page 2. Write a question. You can type it if you like. Or you can use the bottom of your worksheet if you’d prefer. *Read the directions and fill out this phonics worksheet. All of the words have EA in them, but they sound different! Read the words out loud to tell which is which. The answers are on page 2. *Read the directions and fill out this phonics worksheet. These words look similar. Read the words out loud to organize them. The answers are on page 2. *Print out page 1 of this plurals worksheet. All of the rules are at the top to remind you. The answers are on page 2. *Read the directions and fill out this phonics worksheet. Notice all the words have double OO in them. The answers are on page 2. Copy the sentence below. There is a spot on your spelling worksheet to write this if you want to use it. He stopped and into his yellow eyes crept a look of suspicion. *Read the directions and fill out this phonics worksheet. This is about how GH and PH can make the sound F. Weird, huh? The answers are on page 2. Copy all of the words in the list at the top of the page that have silent letters. Write a sentence using at least two words from the spelling list on day 67. Here are examples: I made the choice to avoid all noisy coins. OR When oil boils, its noise is noisy. Make sure your sentences start with a capital letter and end with punctuation! Copy this part of a sentence: Jimmy Skunk was smiling as he ambled towards the old house of Johnny Chuck. It is from the very first sentence of the chapter you read today. Make sure you make their names start with capital letters. Names always are capitalized, which means they start with a capital letter. Play this grammar lesson. We are going to start learning about verbs. Can you unscramble the letters to make words? Click on the letters in order. You can also click and drag the letters to move them around. If you are stuck, you can look at this list of words for ideas. Try and write the sentence below in proper English. Read it out loud to help you figure out what it says. Ah have mo’ important things to worry about. Buster Bear could squash me by just stepping on me, but he doesn’t try it. *Print out the first page of this verb worksheet and follow the directions. You can check your answers on page 2. Watch this video about action verbs. The noun video shows up. Scroll down. Click on the verb circle (2nd one). Then click on Lights, Camera, Action Verbs! Write a list of eight action verbs from your reading today or use a book in your home. *Try this worksheet. The answers are on page 2. Then click on the Level 1 quiz. Choose level A. Write a short story about what you would do if you saw a skunk. You can type your story. Maybe you could start your story by writing, “I was taking a walk when all of a sudden a skunk ambled out onto the path in front of me.” Then what happened? Write a short story about what you would do if you could be invisible. *Do this action verb worksheet. The answers are on page 2. *Print out this To Be worksheet. The answers are on page 2. Read the directions and complete the worksheet. These are a different kind of verb. They aren’t actions. They tell what something is. Write a question ? and then write an answer to it with an exclamation! Make the first sentence. If the penguin stays on his little iceberg, then you are right. Now, open a word processing document and type that sentence. Make sure everything is spelled correctly. Now write one more sentence in the story. Do you remember how to change the font color? Change all of the subject nouns to red and all of the predicate verbs to blue. Make sure each of your sentences has a capital letter at the beginning and an end mark at the end. Click on Make a Sentence. (requires Flash) It should be a new sentence. If you get the same sentence you had before, then complete it and click on Next. Now write two more sentences in the story. Now write two or three more sentences in the story. Now write two or more sentences in the story. Click on “Year 1” at the top, then click the “patterns” tab, then the “oi” button. Then click on GO. Type in the words. Write two sentences with linking verbs. Example: I am hungry. AM is the linking verb. AM, ARE, IS are all types of linking verbs. *Try this worksheet. Do you remember what words are linking verbs? The answers are on page 2. Find and write five linking verbs and five action verbs in your story from today. Remember, every sentence has a verb! Click on the aw button at the bottom. Then click on start. Type in the words. Match the sentences with past tense verbs (when you already did something) or with future tense verbs (when you are going to do something). Don’t worry. It will be easy. Do you think that’s a nice way to describe her? Is it better than saying she looked pretty? What image do you picture? If it ends in an e, don’t write eed! You just need one e. You can skip the e at the end and add ed, like this: bake –> baked (not bakeed). The first verb is race. Today I am going to race, but yesterday I raced. Raced is a past tense verb. You did it in the past. You already raced. Make sentences. This is from England. Chips are French fries and maths is how they say math. Write about what you did yesterday. Use the words: first, next, and last to start your sentences. That means your story should be in order. What did you do first? Then what did you do? What did you do last? Write at least three sentences, each starting with one of those words. You can add more sentences in the middle if you like. If you do, get a high five and/or hug. “But why do you carry that door?” asked the sheriff. Make sure you write all of the punctuation. There are quotation marks showing that someone is speaking. There is a question mark showing that he is asking a question. There is a period to end the sentence. Also make sure you spell everything correctly. Write the words. Click Year 1, then Patterns, then on the er block. *Can you find the verb? When you are finished, you can check your answers on page 2. Remember that these words are verbs too: am, is , are, was, were, will be. *Choose the right verb and write it on the line. You can check your answers on page 2 when you are done. Write three sentences using those three verbs. *Write in the verb. The answers are on page 2. *Do this subject and verb worksheet. The answers are on page 2. The verb is either an action verb telling what the subject did, or it is a linking verb. What are the linking verbs: am, is, are, was, were, will be, has been, have been, had been, become, became. Try singing it to the tune of Twinkle, Twinkle, Little Star. *Find the predicate. The answers are on page 2. Remember: The predicate is what the subject does or is. The complete predicate is the everything that is not the subject. There’s a story where the ruler, a tyrant, made a law that everyone had to bow down to his hat. Pretend that you are king of a country. Write about what laws you would make. *Copy each of the words one time each on the blank next to the word. Be careful to use commas and quotation marks to show that someone is speaking. There are also two capital letters in this sentence. Can you find the words that should be capitalized? Look for the names of people, the names of places, and the names and things. Click on the words that need to be capitalized and then click on Check. Keep trying until you get it right! Copy this sentence: At first the Romans, who were very proud and brave, did not think there was much danger. Make sure you use two capital letters and two commas. Choose the correct meaning of the contraction. Now can you write the correct meaning? Write the contraction. Give it a try. Type the pronoun. Type an apostrophe ‘ . Type a short version of the second word (‘d, ‘ve, ‘m, ‘ll). Write a story about the time you ran into a lion. You can type it if you like. *Copy each of the words one time each on the blank next to the word. Look at the word, cover it up, and try to write it. Then check your spelling and correct it if you were wrong. Copy the sentence. Make sure you use capital letters in the right place and make sure you spell his name correctly. Nearly two thousand years ago there lived in Rome a man whose name was Julius Caesar. Correct the capitalization and punctuation. Click Go On at the bottom of the page. *Order the directions. The answers are on page 2. Follow the directions and write directions. Give someone directions on how to do something. See if you tell them to do the correct things in the correct order to get the job done. *Copy each word on the blank after the word. Write the name, Alexander the Great. Choose the possessive nouns to find the correct path. Like this: Peter‘s ball, the dog‘s bone, the house‘s door, the girl‘s hair Do you see the ‘s in each of those? Write the name of everyone in your family. Now make them each own something. My name is Lee. If I were in your family, you would write Lee. Then you could add ‘s and write Lee’s computer. Find the correct answers. Think about if the noun is plural. Is there more than one? Does it end in an S already? Look for the clues in the sentences and learn from your mistakes. Find the correct answer for each. Why is it the correct answer? Look at these sentences carefully. Be careful! This is tricky. One sentence should use “its” and mean that something belongs to it. Copy each spelling word on the blank after the word. Be careful. This is tricky! I know you can do it. Fix the mistakes. Click on Go On at the bottom of the page. You will correct capitalization, punctuation, spelling and word choice. Choose a story to fill in the blanks. Do your best. I’ll write some examples below to help you. *Copy each spelling word on the worksheet one time each on the blank after the word. Look at the word, cover it up, and try to write it. Then check your spelling and correct it if you were wrong. Write a sentence with a subject and a predicate. (All sentences have them!) I suggest typing it and saving it because you are going to add more sentences. Example: My dog ate all the crumbs from around the table. Example: Someday I‘m going to fly away in a hot air balloon. Add another sentence to the one you wrote on Day 132. In this sentence use an apostrophe. Example: I ran home. My sister‘s bike was lying in the driveway. Example: My dog ate all the crumbs from around the table. He found the most underneath my brother‘s high chair. Example: Someday I’m going to fly away in a hot air balloon. The balloon‘s name is going to be the Explorer. Add another sentence to the one you wrote on Day 133. Example: I ran home. My sister’s bike was lying in the driveway. I thought I’d take it for a spin. Example: My dog ate all the crumbs from around the table. He found the most underneath my brother’s high chair. My brother is so messy. Example: Someday I’m going to fly away in a hot air balloon. The balloon’s name is going to be the Explorer. I’ll think I’ll fly it to Africa. Add another sentence to the one you wrote on Day 134. This time you will connect it to the sentence you wrote before! Use and, but, or to connect the sentences. Take away the punctuation mark at the end of your last sentence and write a comma instead. Then you will put in and/but/or and then your new sentence. Here are my examples. Example: I ran home. My sister’s bike was lying in the driveway. I thought I’d take it for a spin, but just then she came out of the house and said she was going to ride it. Example: My dog ate all the crumbs from around the table. He found the most underneath my brother’s high chair. My brother is so messy, and he loves to throw his food on the floor. Example: Someday I’m going to fly away in a hot air balloon. The balloon’s name is going to be the Explorer. I’ll think I’ll fly it to Africa, or maybe I’ll float to Asia. Read your little story out loud to your family. Copy each spelling word on the Day 136 worksheet one time each on the blank after the word. Look at the word, cover it up, and try to write it. Then check your spelling and correct it if you were wrong. *Complete this pronoun worksheet. This is simple if you know English! The answers are on page 2. *Complete this pronoun worksheet. The answers are on page 2. Write a sentence with someone’s name in it. My example: Samuel likes to climb walls. Write a next sentence with a pronoun instead of the name. My example: He can literally climb up and touch the ceiling. You should have three sentences. Follow the directions. Write down, in your best handwriting, all of the words on your “word builder” list. In your best handwriting, write down all of the contractions from the game. You’ll have to flip a card and write it down before you click on a match. Open up eWords again and write down (in your best handwriting) all of the words in the boxes. Play word invasion. Choose nouns, pronouns and verbs. Write a sentence with a noun and a verb in it. Write a story about your vacation to a mountain home. (Pretend.) What did you do there? Was it summer or winter? What two letters start or end the word in the picture? Write, in your best handwriting, words that end in ck. Write: brick, trick, click, tick and three others that you come up with. Write the contractions for: we will, I have, you are, he is, and two others that you choose. Complete the spelling exercise (with words that have similar suffixes) by typing the correct words in the box. Don’t close the window. In your best handwriting, write all of the words in the box on your spelling exercise page. Play word builder. Don’t close the window. In your best handwriting, write all of the words from your word builder activity. Then use at least one other word from the word box in the spelling exercise on Day 148. Write at least four sentences. Make sure each of your sentences starts with a capital letter and ends with punctuation. In your best handwriting, write all of the words from your e-words game. Copy this sentence: “I’m afraid I don’t know how,” replied the country lad. Pay attention to all of the punctuation and capitalization. Copy the sentence: “I’ll have to teach Danny Rugg a good lesson,” said Bert to his cousin. Copy this sentence from the chapter: “That’s what we’ll do!” cried Bert, steering toward it. Write sentences like the ones you have been copying. Write what someone is saying and use a contraction. “He’s coming for dinner,” I told my mom. “It’s time to go!” I yelled. Write three sentences like the examples. By this time the snowslide had reached the tree, and the mass was now much larger than at first. Copy the sentence: Then came another thaw, and a freeze followed some days later, making good skating. Think of any place in the world you would like to go to. Why would you like to go there? Write about it. Tell where you would like to go and why. What would you do when you got there? How long would you stay? Play coconut spelling. Fill in the vowels to make words. See if you can match up the words and their meanings. The words sound the same but are spelled differently. Today you are going to start your final project. You are going to research a topic. Then you are going to make a book about it. Then I’ll help you write a paragraph about it.You are going to be writing facts, things that are true. This is not a made-up story. You are going to learn about something and then share with everyone what you have learned. When you have chosen, open up a new document in your word processing program (like Word). Write your title and add a picture. This is your cover. Write your name on the cover. You are the author! Save it in the folder with your name on it. Call it your title. Today you need to begin your research. You need to learn about your topic. When you find something interesting or important, then go to your document. Write down the information. DO NOT copy and paste it. You have to write the information yourself. Then you need to copy the web address you used and paste it onto another page in your document. Put the title, “Resources,” at the top of the page with the web address. If you use a book, on the Resources page you need to write the name of the book and the book’s author. Follow your family’s rules for searching online for information for your topic. You will research for a few days. You don’t have to read everything today! Look at three sites today. You should try to have at least ten facts. If you don’t, keep researching and see if you can find some more. When you are ready, you can start working on your book. On each page of your book you will write a sentence stating one fact that you learned. You will also add a picture on each page if you can. Do a couple of pages today. Make your font big. Don’t use all CAPS LOCK. Write good sentences. They should all start with a capital letter and end with punctuation. Make sure you spell things correctly. Continue working on your book. The last page of your book should be your resources page. Make sure it looks neat and orderly. They should all be in a list down the page. Now write the first and last page of your book. Make sure your book is just the way you like it. Print it out. I suggest choosing 2 pages per sheet of paper when you print. You can cut them out and staple them into a book. Now write your book on one page. Write it all together in a paragraph. It should be like this, but with actual information! I learned about frogs. This is a fact about frogs. Another fact about frogs is this. Here is more interesting information. I learned lots of froggy facts. They are so fascinating. Frogs, frogs and more frogs are all I write about. I think frogs are so fascinating. Make sure your paragraph doesn’t have mistakes. Everything should be spelled correctly. Sentences should start with a capital letter and end with punctuation. Write the title at the top of the page. Write your name underneath your title. Make the page look just the way you want it. If your handwriting needs work, every day copy at least one sentence.